To celebrate Craigie on Main’s 10th birthday, James Beard Award-winning chef Tony Maws is gifting us a juicy new concept: COMB (Craigie on Main Bar), a casual counterpoint to the refined dining room. Soundtracked by blues and rock music and festooned with rooster décor (cockscombs, get it? ), the space will serve monthly-changing iterations of Maws’s hit Craigie burger. 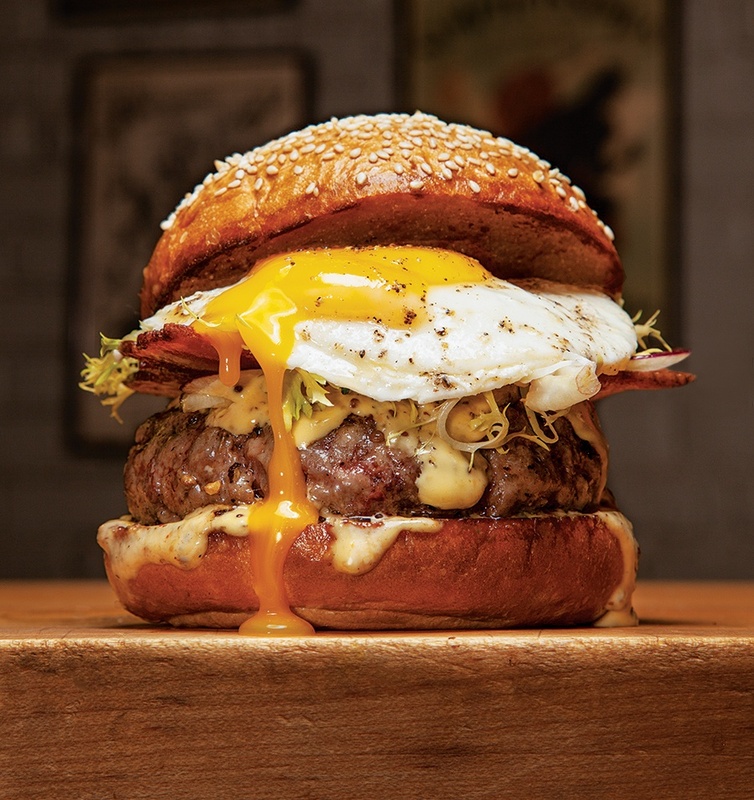 First up: January’s Burger Lyonnaise, topped with bacon, frisée, egg, and Dijonnaise. It’s an homage to Maws’s early days cooking in France, where he embraced his now-trademark farm-to-bistro philosophy. Could the next decade hold another restaurant? The still-sizzling chef won’t rule it out.